According to the latest estimation of Huawei, by 2025, the number of personal smart devices worldwide will reach 40 billion units; the utilization rate of artificial intelligence of companies and institutions will hit 86%; the data utilization rate will be as much as 80%. Intelligence will gain immense popularity in the globe. So, how will our cities and lives change then? 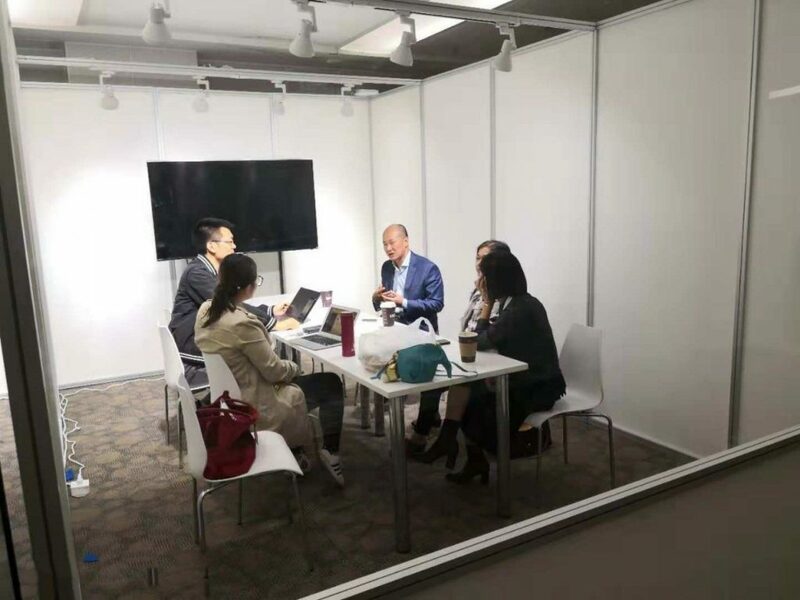 On 10 October, LVGEM China (“LVGEM”), a pioneering company in urban renewal in China, was invited to the Huawei Connect 2018. Mr. Guo Pengsheng, vice president of LVGEM and president of the Urban Renewal Committee of the Shenzhen Real Estate Association, attended the event as a special guest, sharing his thoughts on “The Advance of Real Estate Technology”. Mr. Guo Pengsheng said: Nothing can stop the development of real estate technology. LVGEM will cooperate with Huawei in area of “smart city”. 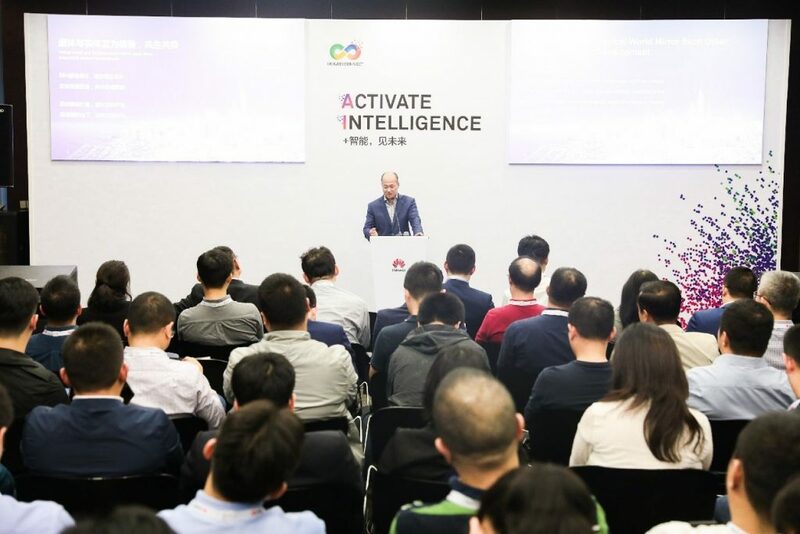 Huawei will provide intelligent technologies to connect various levels of data of cities in order to serve people better, establish data credit to meet diverse needs, and pass on cities’ memories and arts with the help of technology. This is an innovation of urban renewal, even can lead urban development in the future and introduce a new model and new values for the real estate industry. Recently, some property companies emphasized that their current task was to “survive”, because the Chinese real estate market is experiencing changes. In fact, property companies may choose different development paths for the future. Moving ahead, the industry needs a replicable and sustainable business model. Mr. Guo Pengsheng stressed that under economic globalization technology would serve as a major driving force for cities to develop into a knowledge-based economy as well as an effective tool to tackle the transportation and environmental protection problems in cities with high density. Urban renewal and intensive development will become a trend in the real estate industry. As the real estate market will undergo transformation in the future, property companies will need to show that they are truly capable of carrying out development, maintaining highly-efficient city operation, and utilizing technology and digital models. The real estate industry will never die in the foreseeable future. As long as there are people, there will be needs for space. And property companies are space operator. Mr. Guo Pengsheng considered that “to survive” was actually another way to live than to die. Over the past decade, the traditional property development model has overconsumed the spending power of the market, capital and society. Thus, this is all about how to change the business operation model. ”Technology+Real Estate” is not a gimmick but an unavoidable trend for future development. Mr. Guo Pengsheng considered, during prior years “intelligence” was implemented from top to bottom and limited to specific areas. Today, “intelligence” is facilitated by market feedback. If property companies want to create better experience, they must gain access to technology because technology provide technical supports for them to connect themselves to the world. Mr. Guo Pengsheng proposed that the property market would have two “golden threads”. First, simple “development and sales” will be changed to “space operation covering the entire value chain”. Second, the application of “intelligentization” in real estate industry will be upgraded from simple “application of intelligent products” to services for “intelligent ecosystems”. The industry will undergo gradual transformation, shifting its focus from large-scale urban renewal projects and intensive urban development to construction and operation of smart city, thereby creating full values based on data and benefitting all people with city space development. Urban renewal and intensive development will be a trend in real estate industry in the long run. So, only those who enjoy advantages in these two areas would possess basic qualifications to go across the “golden threads” of real estate industry. Various “leverages”, i.e. financial leverage, policy leverage, management leverage and demand leverage, were used to fuel the rapid development of China’s real estate industry in the past twenty years. Today, these “leverages” are constrained and even distorted. In response to this, LVGEM proposed “Maslow’s Hierarchy of Data” at the Huawei Connect 2018, stating that technology would change people’s lifestyle and demands. Mr. Guo Pengsheng said that along with social progress and increase in demand for data the standard to define one’s social competence may be his/her abilities to possess, exchange and control data, which implies that real estate industry will provide services based on users’ demand for “technology” and “data”. The things that concern users the most are experience and comfortability of space rather than difficulty and complexity of technology. Therefore, “technology+real estate” will be an unavoidable trend for the future development of the industry, not just simply a gimmick. In the future, only through combining real estate scenarios with technology can we give exceptional lifestyle service experiences to people. Currently, the space experience offered by traditional property companies is being disrupted by technology. “Technological leverage” will be an important tool for Chinese property companies to enhance their efficiency and quality in the future. Traditional property companies place great emphasis on space provision, ignoring the value of space service. But space service has larger value than ever before. Through property operation, experiential service can help maintain and increase the space value of properties, thereby generating derivative value. Provision of highly-efficient, quality, sustainable space experience to people and cities is the responsibility of property companies as well as the main task of real estate market. Technological advancement gives rise to numerous possibilities for real estate industry. Mr. Guo Pengsheng said that the cooperation with Huawei was not achieved in one go. LVGEM owns large-scale complex projects in core cities and core regions. These mega projects pose an enormous challenge to the company which is not what the traditional development model can overcome. Hence, the company is required to reuse property development data and ponder its next move. The concept of “intelligence” is so widely used in different scenarios. In fact, many application scenarios provided by enterprises are scattered and not related to each other, increasing the difficulty of data integration. The Internet of Things connects data to data. LVGEM hopes to find a technology company who can consistently improve and maintain system operation, establish a complicated platform embedded with different applications, set uniform data standard, be compatible with various functional segments, and provide mature products. Mr. Guo Pengsheng pointed out that the speed of technological iteration and innovation was fast. Huawei proposed the “smart city nervous system” concept for construction of smart city to deepen the integration of scenarios through the use of technology and regarded “smart city” as an important strategic direction for the development of the enterprise, therefore ensuring technological research and development as well as advancement and that the operation of the “smart city” project is up-to-date. LVGEM’s “smart city” concept is about offering to people an array of scenario experience, which requires the company to give particular attention to the design of the top level. To this end, the company needs to adopt a comprehensive solution for highly-intensive development with high density and complexity. This is not what the property companies nowadays are able to achieve on their own. It requires strong technical support to back them up. And all technologies of Huawei can be effectively translated into different scenarios. With respect to “real estate+technology”, LVEGEM considers that cities’ resources are limited, particularly core land resources in the first-tier cities. To operate quality city space in a highly-efficient and sustainable manner, the company needs to develop a sustainable smart city ecosystem. The cooperation between LVGEM and Huawei is a way to tackle the change in the demand of real estate market in the future. The “smart city” project will provide interactive scenario services to people while Huawei will offer technical support to the project. Moving forward, other technology companies can also seek technology overlay based on certain technological standards to enhance technological activity. Mr. Guo Pengsheng emphasized that it was not possible to organically integrate a system with scenarios by simply relying on technology to construct a smart city or a smart ecosystem. Smart city is a blend of space scenario experience and virtual technological experience. The former is what property companies good at providing while the latter technology companies. LVGEM and Huawei can leverage their respective advantages in the construction of the smart city. For LVGEM, the large-scale urban renewal project is an indispensable choice for its future operation and management as well as an important opportunity to engage itself in informatization development. Also, it demonstrate that the group and its partners are willing to hold themselves accountable to the future of cities. Supported by the robust development strategy, LVGEM will actively explore intelligent applications and develop a stable, replicable “real estate+technology” development model. By leveraging Huawei’s ICT technology, LVGEM will fully connect the smart city to the actual city through the ecosystem of the digital and virtual city. According to the “platform+ecosystem” strategy, Huawei will establish a visualized management platform and a digital actual city based on space data, so as to resolve the problems relating to system, platform and standard faced by LVGEM in the provision of space service. Mr. Guo Pengsheng indicated that Huawei, as one of the world’s top 500 companies and the leader of Chinese technology companies, served as an inspiring example to LVGEM who could learn from its brand mission and corporate culture. The collaboration between LVGEM and Huawei focuses more on the top level design of the smart city, as well as on the overall framework and applicable scenarios of the smart city. Specifically, LVGEM will establish in-depth cooperation with Huawei to conduct research on the construction of virtual space system platform, standard data application and solution preparations. Huawei’s products will be the prime choice for LVGEM in the development of large-scale urban renewal projects, bringing changes to real estate industry. The technological solutions provided to LVGEM by Huawei will enable LVGEM to interpret and operate urban renewal from a whole new perspective. They can make future cities more secure, efficient and interesting. More importantly, technology aims to serve people, allowing them to enjoy the benefits of urban development and the beauty of human and arts in a more convenient and humanitarian way. The introduction of the virtual space system platform, standard data application and other solutions can also take city operation efficiency to a new level and improve people’s lifestyle. Huawei offers the smart city solutions to LVGEM for the development and construction of urban renewal projects. Both parties will explore in-depth cooperation in the “smart city” project in aspects of virtual space construction, structural design, system launching, data application and solutions. With respect to the operation and management of the smart city, connections will be built through IoT’s sensory devices to link up various functional scenarios such as residences, business, commerce, hotels, and public transportation. LVGEM and Huawei will complement each other with their respective advantages in property and technology to establish a smart city benchmark project. “Urban renewal” is the major development direction of real estate industry in the future, as well as a critical measure to awake the vitality of cities. There are usually some concerns over urban redevelopment. For example, our memories of certain cities will inevitably disappear with demolition and reconstruction, so it will be difficult for us to decide whether we should “redevelop cities or not”. Technological progress can provide wide-ranging tools and methods for preservation of city culture and our memories. Mr. Guo Pengsheng stressed that human and arts were the ultimate values of smart city construction and were of significant importance to urban renewal projects. Property companies should upgrade its technological level, focusing on people’s space experience and feeling, improving living efficiency, and bringing premier experience and convenience to address people’s needs for health, medical services, safety and intimate relationship. These will be seen and experienced in LVGEM’s large urban renewal projects in the future. Mr. Guo Pengsheng stated that LVGEM would cooperate with Huawei to conduct data verification on new buildings and preserve data of old buildings through “virtual space”. Through information integration, data of buildings and people will be preserved. Smart city is more than cold data; human, culture and arts are the eternal value of smart city. Smart city should not just aim at profit but should share feelings, pass on skills and unify the society through the use of technology. The ultimate mission of technology is to share feelings and pass on memories without being limited to certain time and space. In this connection, LVGEM will create a vibrant living space combining history, human, culture and art to satisfy people’s needs. In this fast-paced industry, opportunities are only for the well-prepared. “Smart city” is an important development direction for real estate industry. The creation of a replicable “smart city” benchmark project may be a long process. But the cooperation between LVGEM and Huawei provides us a critical signal- a urban renewal model based on technology and data is under construction. Our cities may be able to undergo “moderate transformation” from “passive renewal” during previous years. This is of significant importance to Chinese cities and China’s real estate industry nowadays. LVGEM will focus on improving city vitality and living value and strengthening cities’ comprehensive operation capability. With the help of technology, the company can practise its concepts on urban renewal projects to establish a replicable “smart city” benchmark project. The kind of much-awaited practice is believed to be a great achievement in the industry. COPYRIGHT © CHINA LVGEM ALL RIGHTS RESERVED.